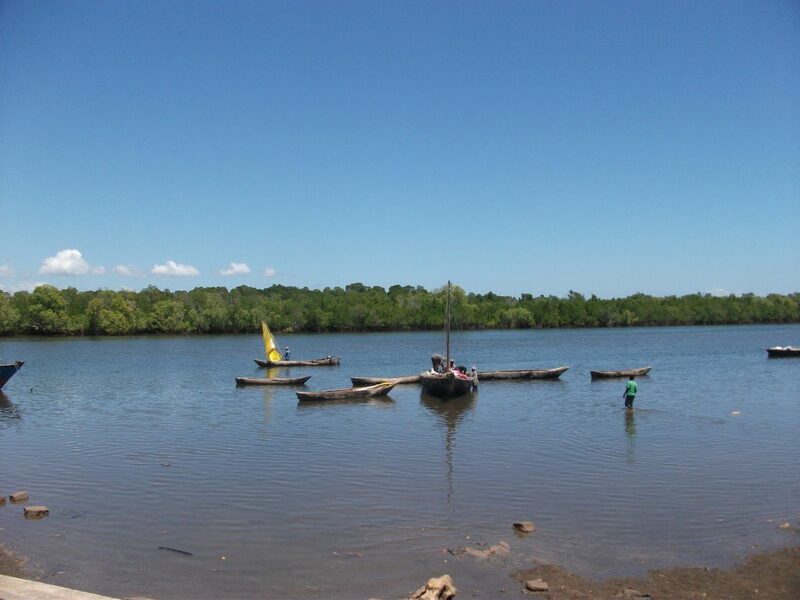 In Vanga, there is a high quality mangrove forest that provides several ecosystem services directly to the community. Soon the forest will provide services to people living in other parts of the world as well. Vanga has been chosen as the site to launch a community led carbon offset project. SPACES researchers have collected baseline data on the mangrove forest quality and socio-economic data from the community. Another, ESPA funded project, CESEA, has also collected data in Vanga. The data collected from these two projects were combined to form the Project Idea Note (PIN), for Upscaling Mikoko Pamoja in Vanga. 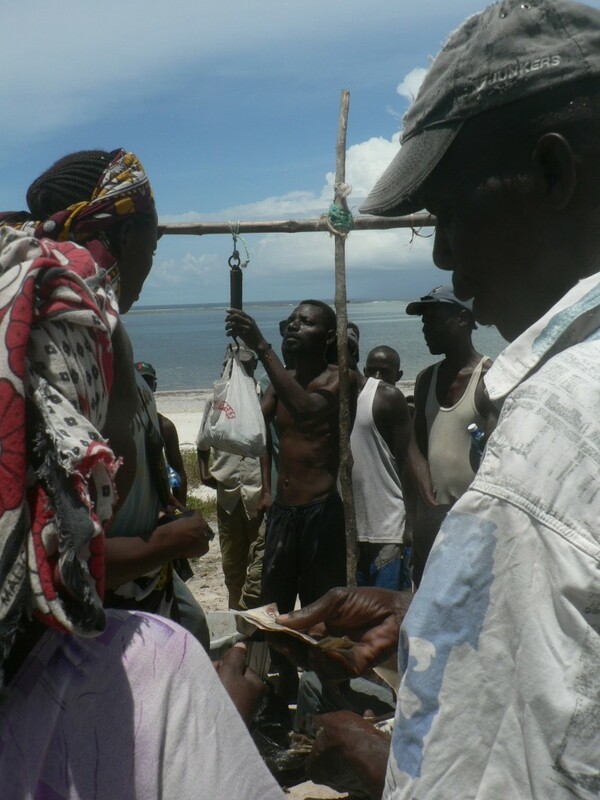 Mikoko Pamoja (Mangroves Together in Swahili) is a carbon offset project in Gazi, Kenya. The community sells its carbon credits from conservation of the forest to buyers around the world. “The community plants mangroves, reduces pressure on the forest, and promotes the sustainable use of the forest. From these activities the community is able to reduce their carbon emissions”, said Lilian Mwihaki from the Kenya Marine and Fisheries Research Institute (KMFRI). When carbon credits are sold, the money comes back to Mikoko Pamoja project and the community in Gazi. Mwihaki said “there is a benefit sharing scheme in place and the money is put back into the project or spent directly on the community. The community [in Gazi] has used the money on water projects and for stocking books in schools.” Also, two of the schools now have free access to clean drinking water. The carbon offset project, Mikoko Pamoja, began in 2013 and will continue for 20 years! The project has been a success, and was recently awarded the UNEquator Prize in New York City last month. It was the first community based mangrove project in the world to successfully trade its carbon credits. From the success of Mikoko Pamoja, the idea to upscale it in another site was born. This is where Vanga comes into the picture. In Vanga, the project, Upscaling Mikoko Pamoja, is only in its early phases. The Project Idea Note (PIN) has been accepted and now the team is working on the Project Design Document (PDD). The project leads are working closely with the Community Forest Association (CFA) in Vanga. Recently, the project lead held a consultation meeting with the wider community to get their input about the project. Upscaling Mikoko Pamoja in Vanga has received support from CESEA (SPACES’ sister project) and the UNDP funded Blue Forest Project. Recently the project also received additional funding from the Leonardo DiCaprio foundation. The project is meant to last 20 years like the original Mikoko Pamoja project. This is a great achievement for the SPACES mangrove team! The team used the SPACES mangrove data along with CESEA’s data to upscale the Mikoko Pamoja project in Vanga. We look forward to following how this progresses. You can buy carbon credits to offset your carbon emissions from Mikoko Pamoja and other community led organizations here. Coastal habitats such as mangroves and estuaries provide important ecosystem services for human communities. These habitats are also some of the most heavily exploited by humans and therefore threaten natural systems. Nova Mambone village, established in 1957, is adjacent to an estuary, forming extensive mangrove forests, and the livelihood of the villagers are linked with the non-agricultural sources. 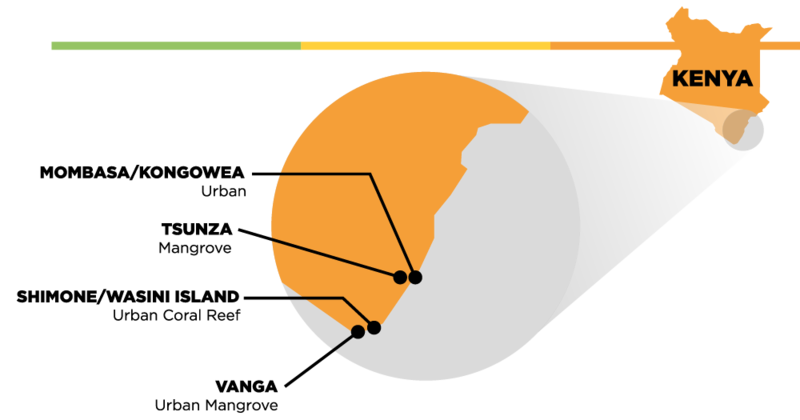 Fishing and allied activities from the rivers and estuary are carried out without restrictions. Male fishers are engaged in exploiting fish, prawns and crabs in large scale for commercial purposes, female adults are either unemployed or are engaged in informal businesses, while children collect shells, fish, crabs, honey, and firewood to satisfy their daily needs. This study revealed that there are four estuary centers on site and they are operated by 8100 fishermen. There is no restriction for the products collected in the mangrove forest area. Nova Mambone village has experienced rates of mangrove loss in the last 10 years due to extreme events such as flooding, cyclones, and consequently reduced fish production, which is their main source of income. Such mangrove deforestation has had significant, albeit varying, impacts on the livelihoods of villagers. The livelihoods of inhabitants in Nova Mambone were studied to understand the implication of extreme events on their livelihood. The reduction of fish production has been the main constraint. WIOMSA presentation on the concept on the evolution of climate change science and the limitations of the Intergovernmental Panel on Climate Change (IPCC). The Blue Carbon initiative created an internationally applicable standard for quantifying and measuring coastal carbon. The presentation finishes with recommendations for the way forward.